An incredible rain of Coins is falling in the most famous pixellated worlds! • Collect as many Coins as you can! • Explore the sky, the underwater world and the space in Pixel Art! • Have fun in the three modes: Classic, Arcade and Loot! • Destroy the crates to enjoy fantastic bonuses! 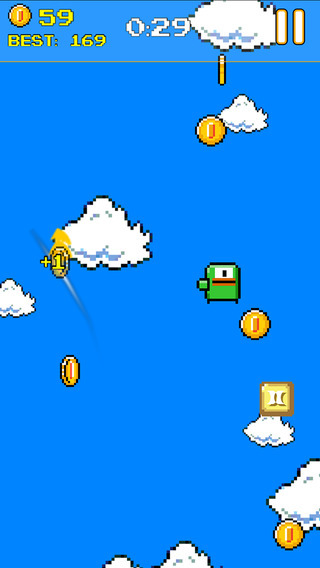 • Avoid the enemies like the rocket, the bird and the fish! 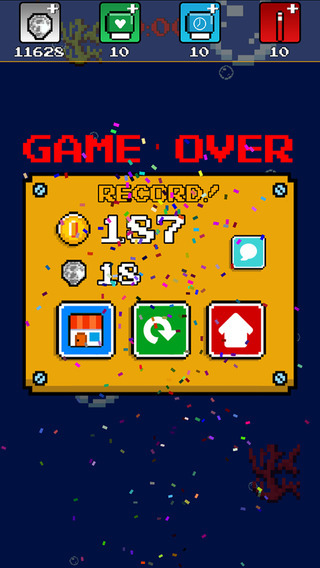 • Use Power-Ups to beat all records! • Challenge your friends and the whole world with Game Center! • Achieve targets for precious diamonds! Addictive game! It can create dependency!